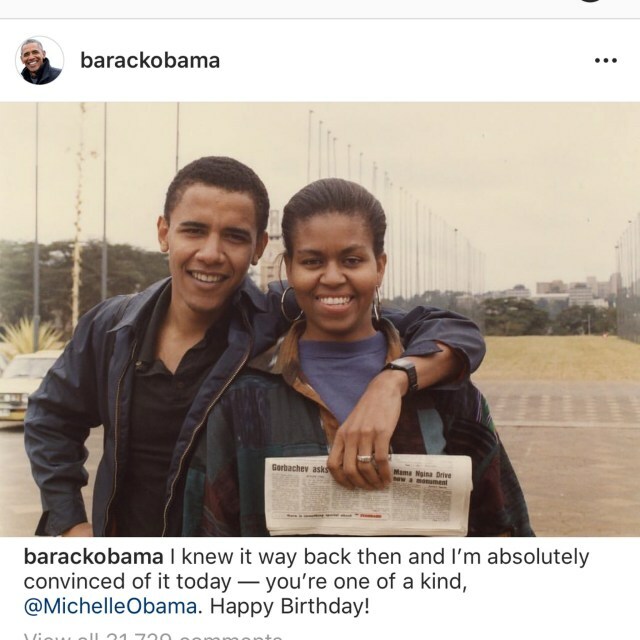 Former U.S president ,Barack Obama took to Instagram to celebrate his wife and First Lady,Michelle Obama . OBAMA my Hero. I Salute. Uncle die quick that's if you fit die. Pope,xi ping,Trump and a few other so called elites if them no die quick the world is gone. As it is now, "new world order" 90% ready. They all need to die and go to hell first. Trump dun dey bring about food scarcity,part of new world order. Where men go depend on government for food.